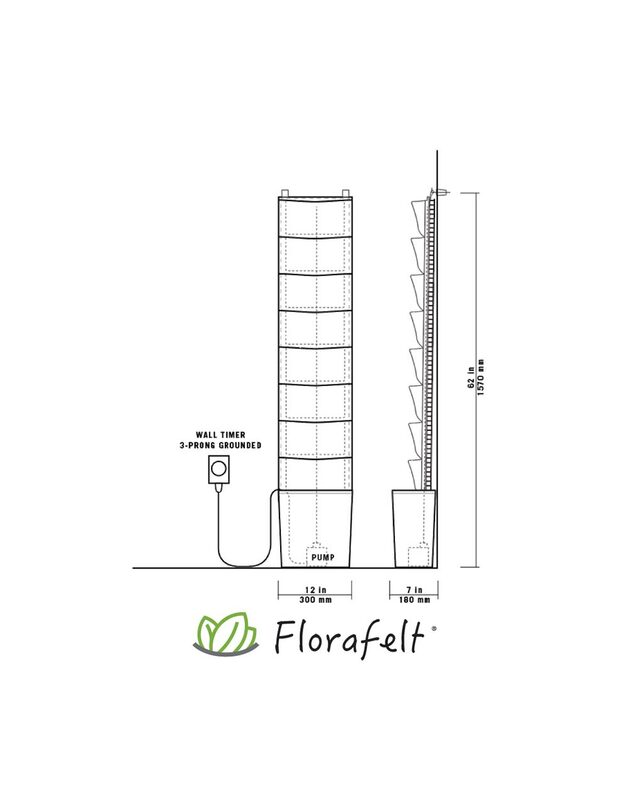 Create beautiful vertical gardens and living walls with Florafelt’s patented pleated felt pocket system. Made from recycled plastic water bottles, the felt is a non-toxic fibre that is indestructible and tough. Over time, roots grow into the moist felt. The pockets stretch to receive 10 to 12 cm potted plants. Each pocket is 25 cm wide by 15 cm deep. Included Root Wrappers make it easy to change, arrange and handle plants. Hand water or connect to an automatic drip irrigation systems. Create living walls of any size. 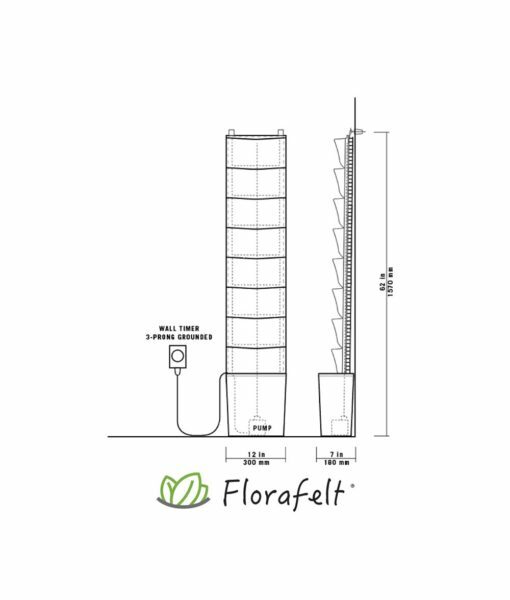 Florafelt’s innovative design routes water to the central layer, protecting walls from moisture and keeping the front dry. Simply wrap the plants with the root wrappers in their existing soil and slide them into the pockets. 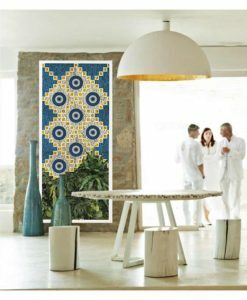 Align multiple panels for large-scale living walls. It is only necessary to water the top row of pockets, letting the moisture spread to the lower levels. The microfibres provide a highly efficient grid to deliver water to every plant. Because water flows down, you don’t have to worry about favouring the top row. Based on how much collects at the bottom, you will quickly learn how much water is sufficient for your vertical garden. Runoff can be collected in drip trays, recirculated or drained away. If your living wall is outside, simply let the water drip to the ground. Florafelt is hypo-allergenic, moth-proof, mildew and odour-resistant and contains no irritants or carcinogens. The backing board is a sturdy plastic sheeting extruded from polypropylene (HDPE). Its fluted ribs support both surfaces, making it lightweight, tough and abuse resistant. It is both chemical and water resistant. 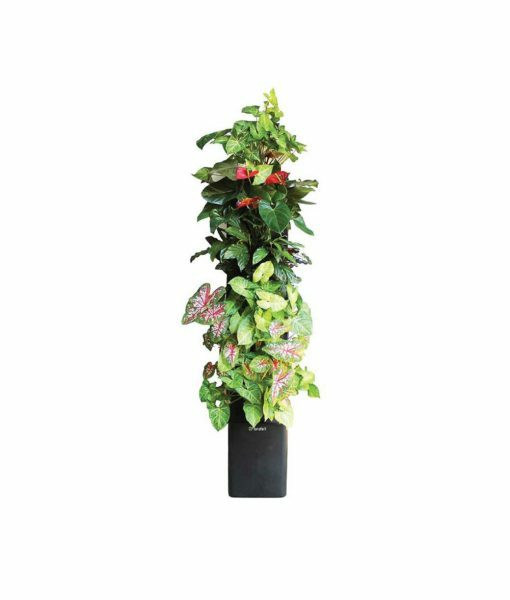 The Florafelt Compact Living Walls Kit is watered from the top and the recycled plastic nylon felt wicks water to the plants. Excess water drips from the bottom and is recirculated. 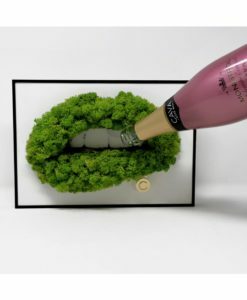 A mild plant food is added to the water to create a hydroponic living wall system that allows the plants to continue to grow into the felt. 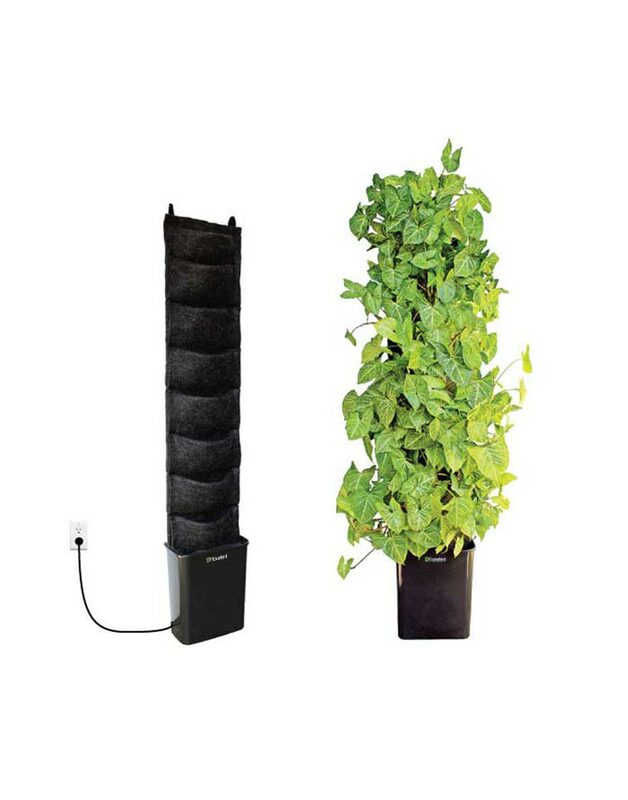 Buy new plants or condense your existing plant collection into a single self-watering system. Fun and easy for adults and kids. 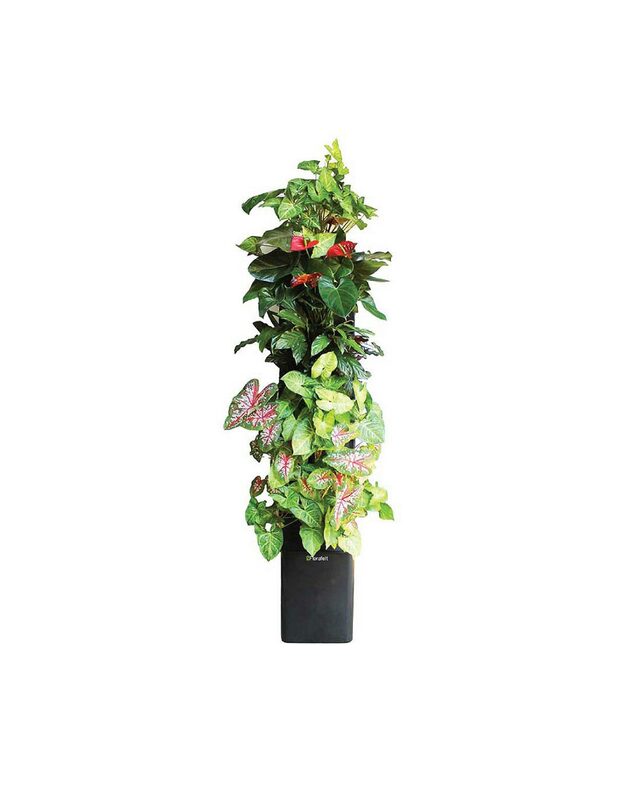 Grow just about any plant in Florafelt Vertical Garden Planters. 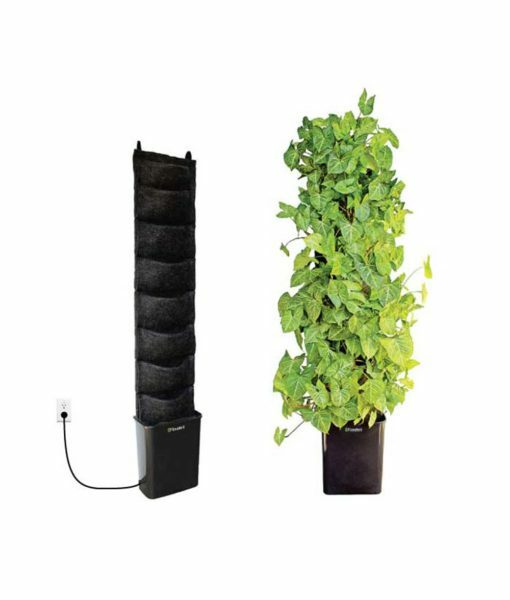 This patented hybrid-hydroponic growing system lets plants thrive because their roots grow into the moisture in the felt. The innovative design routes water to the central layer and protects walls from moisture and keeps the front dry. Mount to any wall, plug into standard 220v wall outlet (grounded), add water, set timer. System will automatically water plants daily. Add water weekly.